The family of former Super Eagles coach Stephen Keshi has revealed that he died as a result of being hypertensive and broken-hearted. “Since the death of his wife, Kate, in December 2015, his life had changed dramatically,” a family member said on Wednesday morning hours after the football icon passed on. He said Keshi, 54, had become hypertensive “but was managing it very well… always taking his medications and checking his blood pressure very regularly”. Another family member told revealed that since the former Super Eagles’ coach lost his wife, he had become so lonely that he was practically soliciting phone calls from friends. “After the burial of his wife, people practically left him to himself. The calls and visits became fewer, and he felt the pain the more. They were married for 35 years and he watched the love of his life battle bravely with cancer for three years. He was inconsolable,” he said. Keshi, who was due to travel to the US later in the day, started complaining of excruciating pains in his legs a few minutes to midnight. He was rushed to the hospital when the pains would not subside, but it has not been confirmed if he died on the way or on arrival. In a statement issued by his family, the preliminary cause of death was given as “cardiac arrest”. Respected sports journalist, Kayode Tijani, who was very close to Keshi, said hat he spoke with the former international last weekend. “He asked about me from a mutual friend, so I immediately called him. He was so appreciative. You would think I gave him something he did not have. He kept thanking me profusely for calling him,” Tijani said. When his wife died, Keshi had said: “She was ill for a while now and I’m still in shock of this great loss. “She is more like a sister to me and was the rock behind me and everything I do. 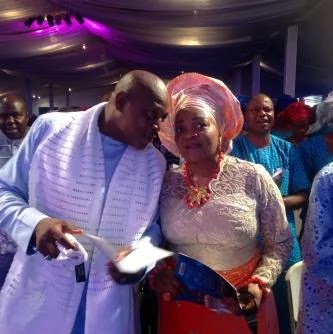 My love for her was at first sight.” Stephen Keshi was survived by four children.